Krishnam- A Malayalam movie is releasing soon on YuppTV Mini Theatre. The film in an attempt to break the barriers of the conventional is being released online worldwide along with the theatres in India. Krishnam movie is exclusively available on YuppTV Mini Theatre worldwide. 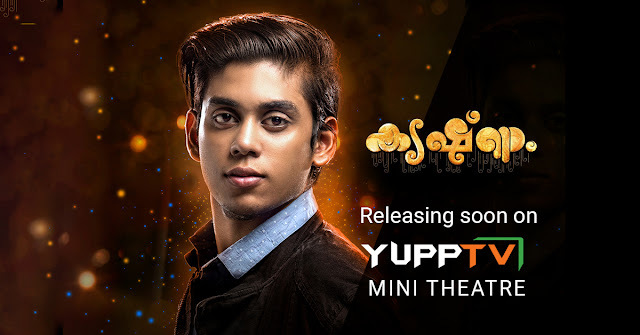 Directed by Malayalam Film Director Dinesh Baboo, Krishnam is a Trilingual film based on the life on the life of a young man named Akshay Krishnan. Akshay who is a normal Fun loving College going kid who was diagnosed with a small problem. As the doctors performed more tests, they learned that he had problems graver than what they already discovered. One by one his organs started giving up and experts from various countries could not discover the problem until one Doctor suggested to check his heart. Sounding exactly like an episode on Hugh Laurie’s House MD, this is the true story behind the film Krishnan and for the first time in World Cinema, the hero from this real-life story is the hero in the reel life. Krishnam movie casts Akshay Krishnan as the lead actor in the film to keep the story as original as it can be. The actor too is excited to tell the story to the world and is looking forward to the film release.